Make yourself at home in one of the 30 individually decorated guestrooms, featuring minibars (stocked with some free items) and LED televisions. Complimentary wireless Internet access keeps you connected, and cable programming is available for your entertainment. Private bathrooms with showers feature designer toiletries and hair dryers. Conveniences include safes and desks, as well as phones with free local calls. 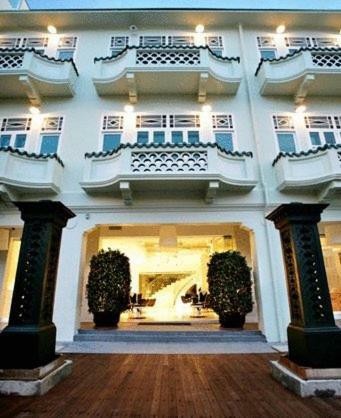 A stay at New Majestic Hotel places you in the heart of Singapore, minutes from Singapore General Hospital and close to Chinatown Heritage Center. This 4-star hotel is close to Universal Studios Singapore® and National Orchid Garden. The preferred airport for New Majestic Hotel is Singapore (SIN-Changi). This property is undergoing renovations from 01 June 2017 to 31 March 2018 (completion date subject to change).